Undiagnosed asthma adds to the burden of asthma and is an especially significant public health concern among urban adolescents. While much is known about individual-level demographic and neighborhood-level factors that characterize those with diagnosed asthma, limited data exist regarding these factors and undiagnosed asthma. 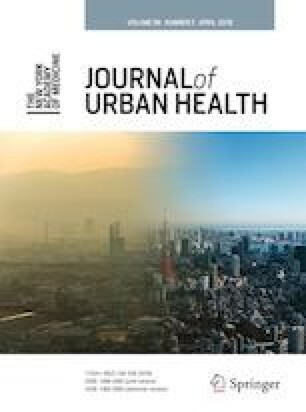 This observational study evaluated associations between undiagnosed asthma and individual and neighborhood factors among a large cohort of urban adolescents. We analyzed data from 10,295 New York City adolescents who reported on asthma symptoms and diagnosis; a subset (n = 6220) provided addresses that we were able to geocode into US Census tracts. Multivariable regression models estimated associations between undiagnosed asthma status and individual-level variables. Hierarchical linear modeling estimated associations between undiagnosed asthma status and neighborhood-level variables. Undiagnosed asthma prevalence was 20.2%. Females had higher odds of being undiagnosed (adjusted odds ratio (AOR) = 1.25; 95% confidence interval (CI) = 1.13–1.37). Compared to White, non-Hispanic adolescents, Asian-Americans had higher risk of being undiagnosed (AOR = 1.41; 95% CI = 1.01–1.95); Latinos (AOR = 0.67; 95% CI = 0.45–0.83); and African-Americans/Blacks (AOR = 0.66; 95% CI = 0.52–0.87) had lower risk; Latinos and African-Americans/Blacks did not differ significantly. Living in a neighborhood with a lower concentration of Latinos relative to White non-Latinos was associated with lower risk of being undiagnosed (AOR = 0.66; CI = 0.43–0.95). Living in a neighborhood with health care provider shortages was associated with lower risk of being undiagnosed (AOR = 0.80; 95% CI =0.69–0.93). Public health campaigns to educate adolescents and their caregivers about undiagnosed asthma, as well as education for health care providers to screen adolescent patients for asthma, are warranted. Jean-Marie Bruzzese and Sharon Kingston contributed equally to this work. Jean-Marie Bruzzese and Sharon Kingston are co-first authors. The authors would like to thanks Drs. Tonda Hughes and David Evans for their expert review of our manuscript. J-M. B made substantial contributions to the study conceptualization, including the data acquisition and interpretation of the data; critically revised the manuscript for important intellectual content; approved the final version; and is accountable for all aspects of the work in ensuring the study’s integrity. S. K made substantial contributions to the study conceptualization, including the data acquisition, data analysis, and interpretation of the data; drafted parts of the manuscript and critically revised the manuscript for important intellectual content; approved the final version; and is accountable for all aspects of the work in ensuring the study’s integrity. K.A. F interpreted the data; drafted parts of the manuscript; approved the final version; and is accountable for all aspects of the work in ensuring the study’s integrity. E. B analyzed and interpreted the data; drafted parts of the manuscript; approved the final version; and is accountable for all aspects of the work in ensuring the study’s integrity. L. P conceptualized the study, including interpreting the data; critically revised the manuscript for important intellectual content; approved the final version; and is accountable for all aspects of the work in ensuring the study’s integrity. J-M. B was at the NYU School of Medicine when the data for this study was collected; S. K was at the NYU School of Medicine when part of the data for this study was collected. All other tasks related to this manuscript were conducted during J-M. B appointment at Columbia University and S. K appointment at Dickinson College. The National Institutes of Health (R01HL089493 to JMB) supported this work. The sponsor had no role in the study design; in the collection, analysis, and interpretation of data; in the writing of this manuscript; and in the decision to submit the manuscript for publication.